THE SUMMER NIGHT sounds of chirping tree frogs and cicadas drifted through the open screen window of Beatrice Wilcox’s sixty-year-old log cabin. Loving the wildlife melodies, she closed her eyes, her weary body spent from a long day with ten rowdy, sometimes frustratingly taciturn children and preteens. But running this camp was her dream. She wanted to create a summer idyll for kids who faced challenges in their young lives, as she had when she’d been a camper herself as a child. When I think of forest fires, I remember living in Los Angeles, California for over a decade and how so many of our decisions were based on the constant of fires. Rand had fought fires from the Upper Peninsula of Michigan to Idaho to California. He knew exactly the kind of conditions that it took for Mother Nature to burn. But there had been no thunderstorms here in Indian Lake. No lightning bolts. And not quite enough heat to spark spontaneous combustion. No, this was a fire started by human hands. Rand would bet his reputation on it. And if he was right, Chris had all the more reason to stay clear. Rand had one shot at bringing out Chris. He had to take it. Rand kept going, toward the most burned section of forest. It was his guess that it had been near here where the fire started. Seriously, when you see all this gear these guys and gals have strapped to their backs and that they carry INTO a fire, all I can think is how strong they have to be to perform their job. Wincing, she glanced up and saw him. “I’ll walk you to your truck,” she said and turned to grab her crutches from the porch railing. “I’m trying,” she said and walked alongside him to his truck. Catherine Lanigan is the international bestselling and award-winning author of over forty-five published titles in both fiction and non-fiction, including the novelizations of Romancing the Stone and The Jewel of the Nile. Ms. Lanigan’s novels have been translated into over twenty-four languages. Lanigan was tasked by the NotMYkid foundation to pen a collection of compelling and informative true stories of teen addicts. 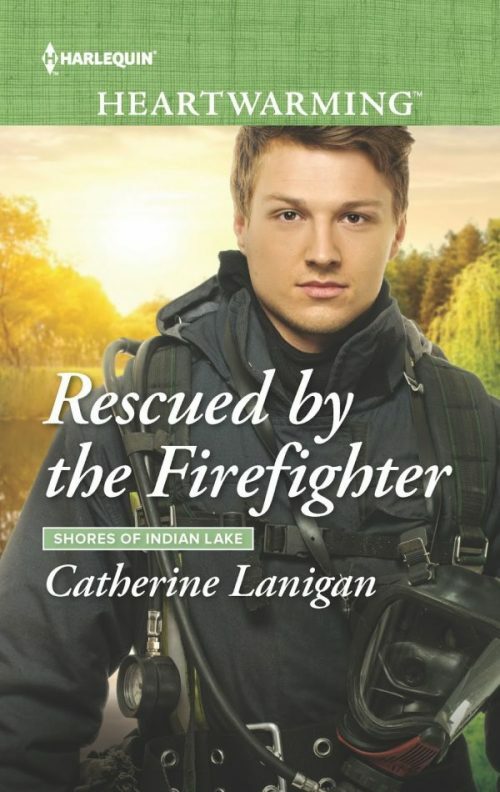 Ms. Lanigan’s SHORES OF INDIAN LAKE series for HARLEQUIN HEARTWARMING includes LOVE SHADOWS, HEART’S DESIRE , A FINE YEAR FOR LOVE, KATIA’S PROMISE, FEAR OF FALLING, SOPHIE’S PATH, PROTECTING THE SINGLE MOM, FAMILY OF HIS OWN, HIS BABY DILEMMA, RESCUED BY THE FIREFIGHTER and MY RACING HEART (2019). 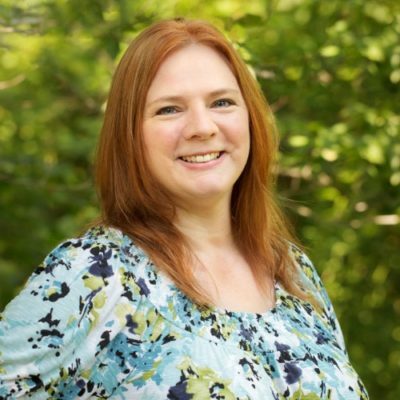 Ms. Lanigan is a frequent speaker at literary functions and book conventions as well as inspiring audiences with her real stories of angelic intervention from her Angel Tales series of books. 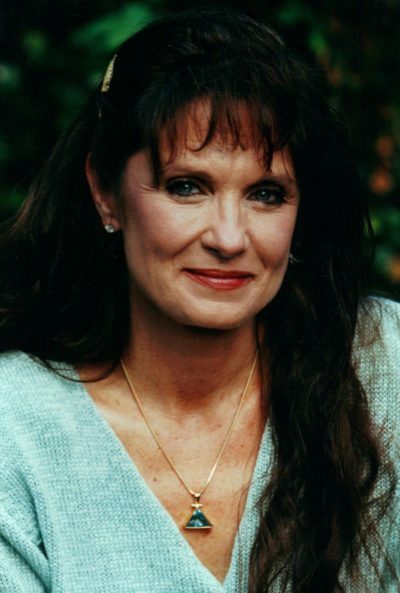 She is an outspoken advocate for domestic violence and abuse and was honored by The National Domestic Violence Hotline in Washington, D.C.
Lanigan has been a guest on numerous radio programs including “Coast to Coast” and on television interview and talk show programs as well as blogs, podcasts and online radio interview programs. She writes a monthly blog for Heartwarmingauthors.blogspot.com. 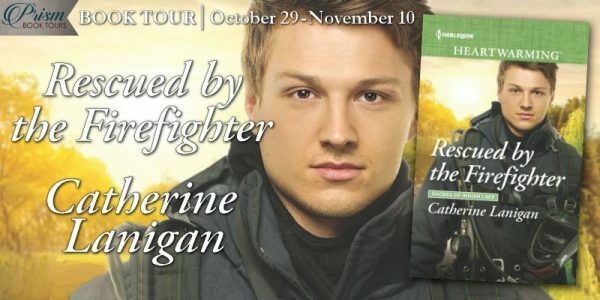 I love a rescue and romance book. I don’t get the Hallmark channel, so I won’t be watching the show. I like the cover, the model is cute.